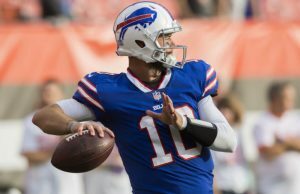 Typically a team is not so forthcoming about its desires to replace a player at any position as the Buffalo Bills have been about plans to draft a new quarterback. 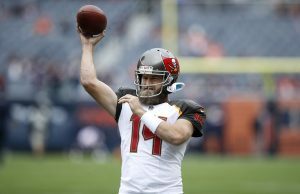 The clock is ticking out on the Ryan Fitzpatrick era in Buffafo and everyone knows it. Gailey and general manager Buddy Nix are both now on record now suggesting that Fitzpatrick is in the final weeks of his tenure as Buffalos starter. The comments should not come as a complete surprise given the Bills have lost three consecutive games and now sit 3-6 on the year. 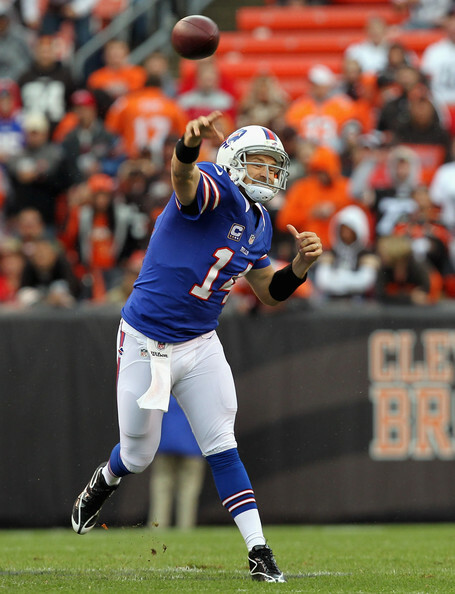 Going back to last season the Bills are 4-14 in their last 18 games. 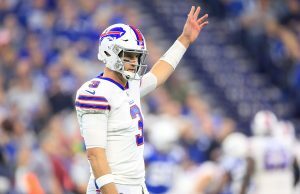 Given the success of the quarterbacks drafted in the 2012 Draft the Bills are hoping they will find a franchise quarterback in next years draft. In Sunday’s loss to New England Fitzpartrick was 27-of-40 for 337 yards with 2 touchdowns and an interception. On the season he is ranked 15th in terms of quarterback rating with 17 touchdowns to 10 interceptions while throwing for 2,011 yards. ESPN’s Total QBR ranks Fitzpatrick as 26th overall. The comments by Gailey and Nix stop short of admitting that Buffalo made a mistake by signing Fitzpatrick to a six year, $59 million contract extension including a $10 million signing bonus in 2011. Some of the possiable targets of the Bills in next years draft are Matt Barkley, Geno Smith Tyler Wilson, Aaron Murray and Tyler Bray. None of these players seem to have the “superstar” or “can’t miss” appeal of Andrew Luck or Robert Griffin.